We’ve all experiences those days, getting home from work, school or university and having no motivation or energy to cook a meal from scratch, the take-away menus are beckoning but your bank balance is resorting to the depths of a negative balance! When those moments come, no matter the day, you’ll be glad to have your Mini Cash Stash Tin! 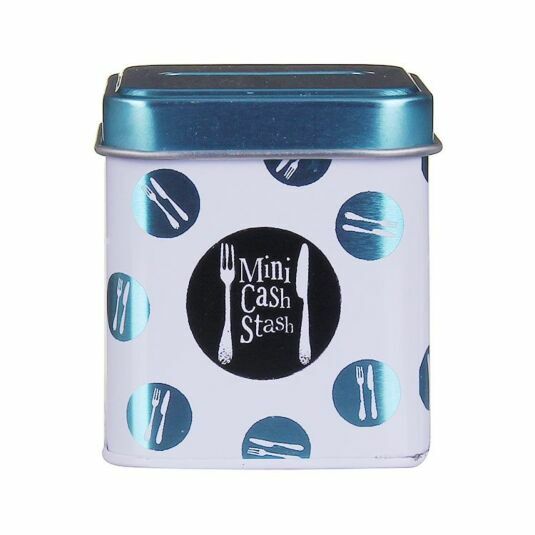 This ‘Can’t Be Bothered’ Mini Cash Stash Tin is here for when the takeaway seems the right way, making sure you have enough pennies for a cheeky Chinese, inspired Indian or a priceless pizza! The tin itself is based with a white colour with turquoise metallic detailing on the lid and base of the piece. A large coin slot is found on the top of the piece, big enough to store all sizes of coins and if your feeling generous, even a note! 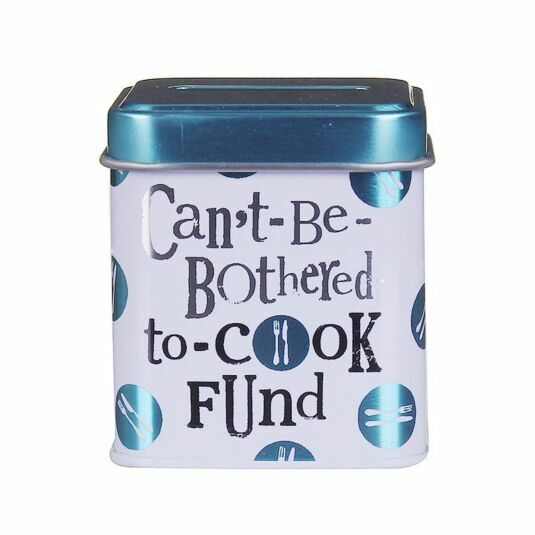 The tin itself is printed with the words ‘Can’t-Be-Bothered-To-Cook Fun’ on the front in a mixture of black and metallic silver Bright Side font with the reverse of the tin reading ‘Mini Cash Stash’ within a black circle design in the signature white Bright Side font. 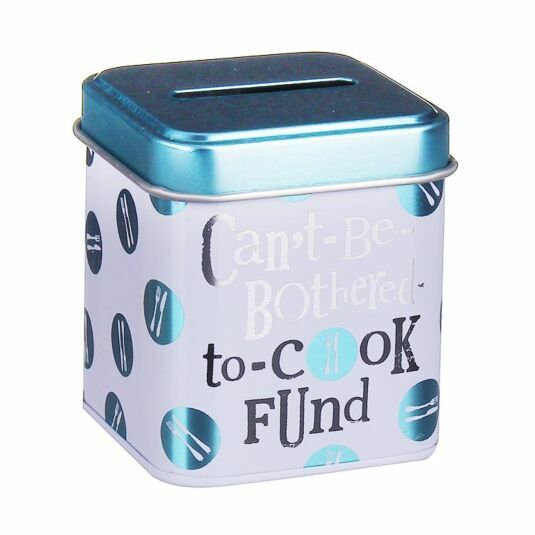 Perfect for those lazy, tired nights, this The Bright Side ‘Can’t Be Bothered To Cook’ Mini Cash Stash Tin would make the ideal gift for almost anyone and especially for new homeowners, mothers, fathers and of course the lazy university student!